The new outdoor market at cSpace King Edward happens every Saturday from June 2 to October 6. 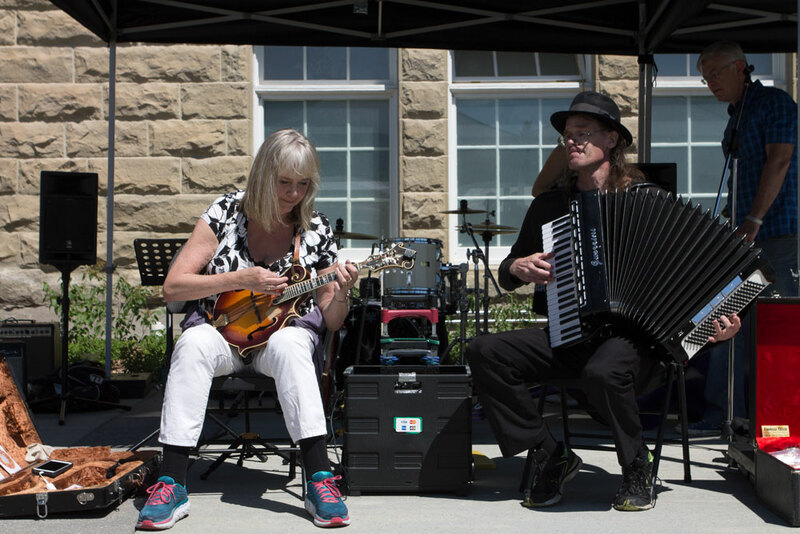 A new outdoor farmers market opened on June 2 at cSpace King Edward and will be there every Saturday from now until October 6 (10 a.m. to 3 p.m.). 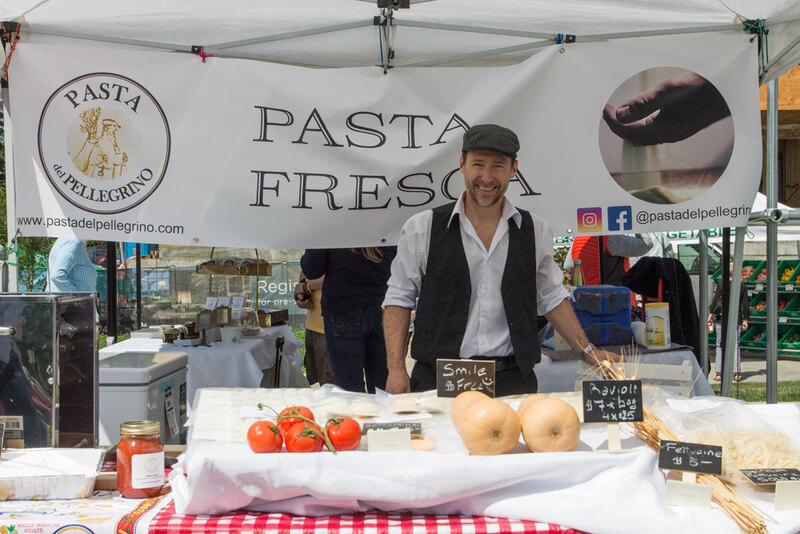 Located on the building’s south lawn, the family-friendly Farmers & Makers Market brings together more than 50 local food, drink, farm and artisan vendors, a handful of which are introducing their products for the very first time. 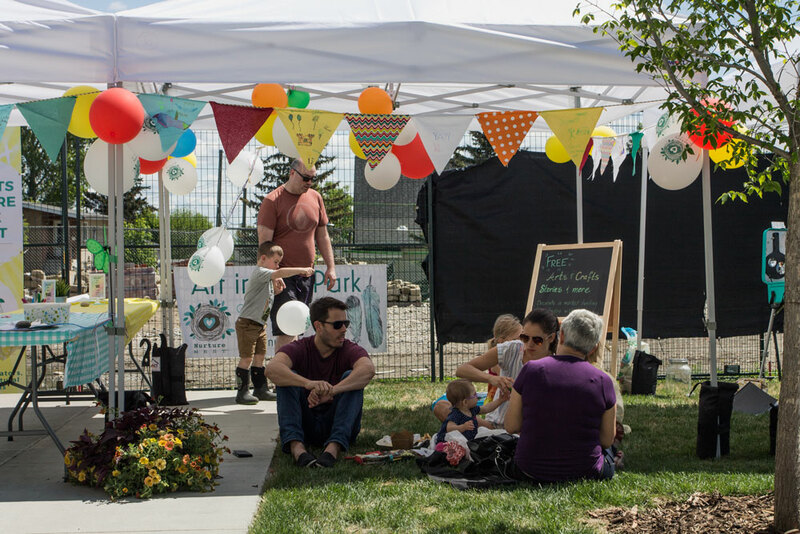 There’s also live music, food trucks, corn hole and a children’s activity area with a free arts and crafts station, face painting and storytelling. After you’ve filled your grocery bags, go inside cSPACE to check out locally made art and jewelry at Shona Rae Studios and the Blackboard Gallery. Down the hall, flip through children’s books by Calgary illustrator Byron Eggenschwiler in his studio. 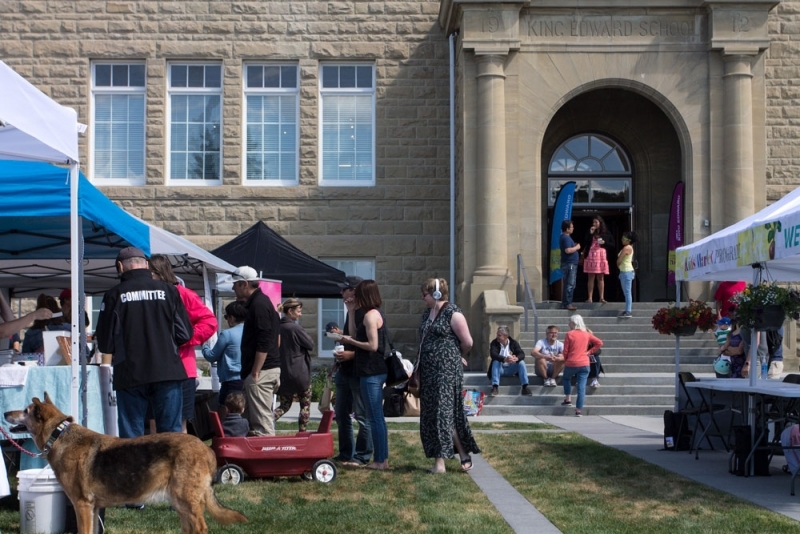 The building is also home to the Alberta Craft Gallery and onsite coffee shop Barrow Espresso. Live, local music at the Farmers & Makers Market. Families gathered at the children’s activity area. 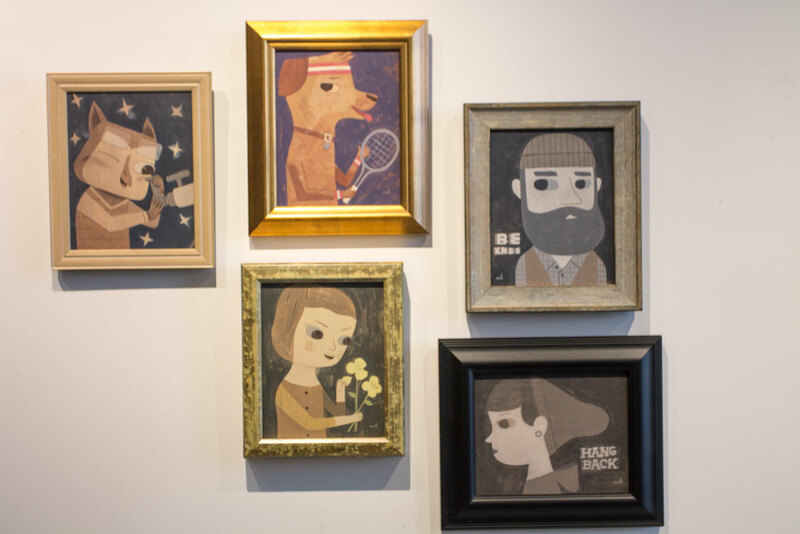 Illustrations by local artist Byron Eggenschwiler hang on the wall of his studio inside cSPACE. Everything from Nourish Kitchen and Bakery is gluten-free. 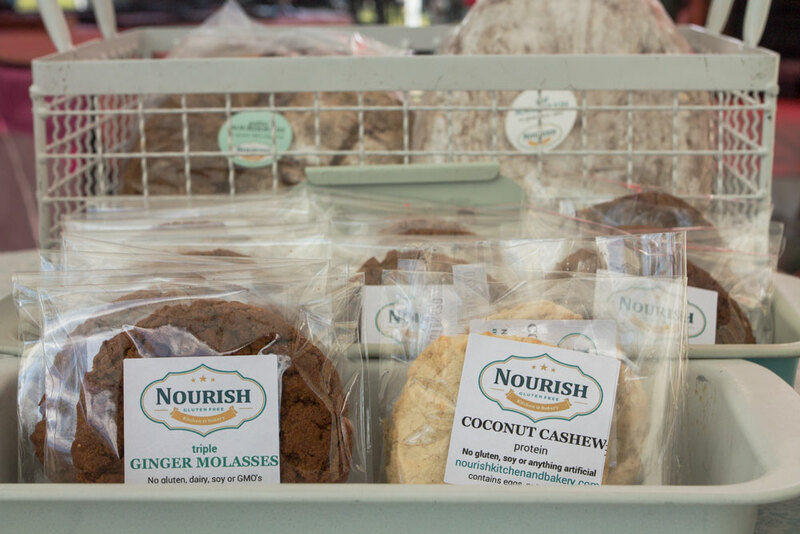 Go for the super chewy ginger molasses or coconut cashew cookies ($2). You can also pick up a loaf of sourdough bread ($10, or $12 for paleo sourdough). 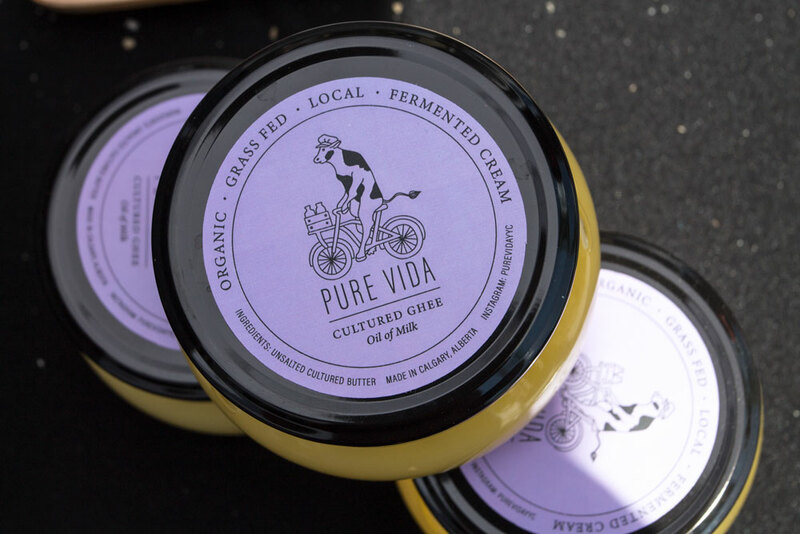 Pure Vida sells cultured butter ($7.99) and ghee ($17.99), which is clarified butter made from the oils and fats of butter. Both have a rich, tangy taste and are good for those sensitive to lactose. Ghee can be used to make bullet coffee and is great for cooking. 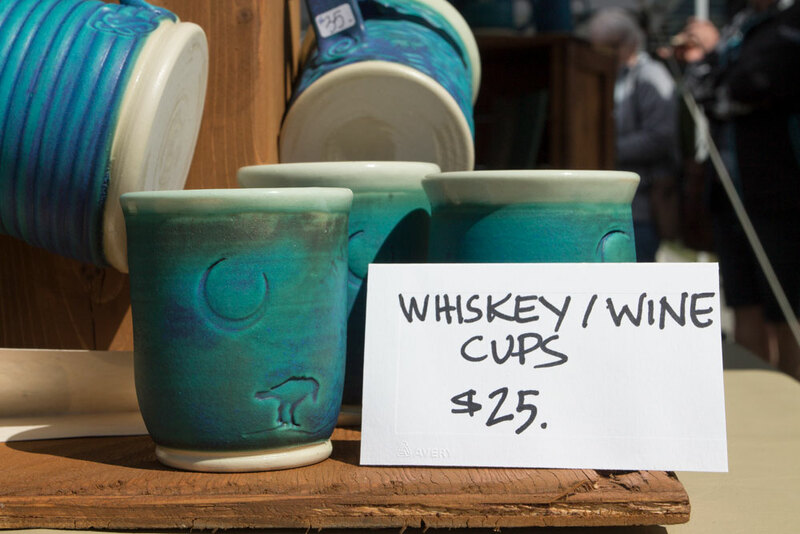 Snag some cute handmade clay wine and whiskey cups ($25) from Sage Pottery & Urban Farm. There’s also an assortment of large coffee mugs ($25). Get sheets of frozen pasta from Pasta del Pellegrino, handmade using traditional Italian methods. You’ll find lasagna, ravioli, fettuccine, spaghetti and sorrentinos (stuffed pasta) ranging from $5 to $15. 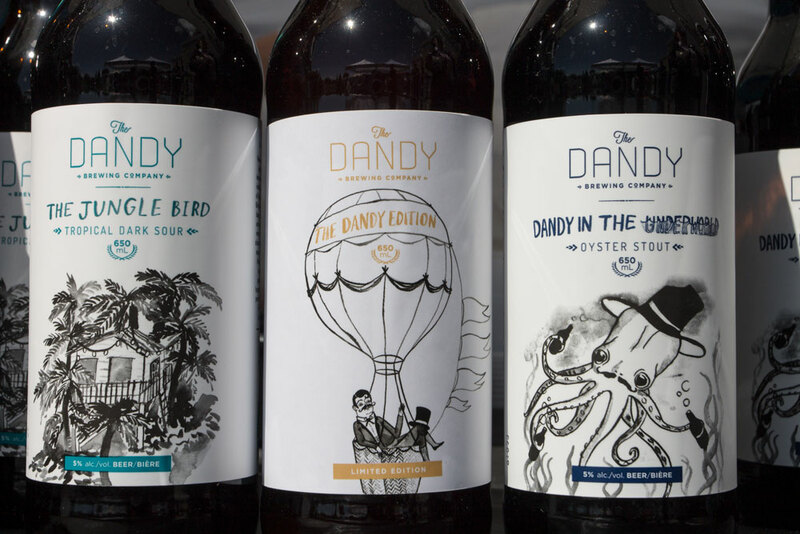 If you’re feeling thirsty, stop by Dandy‘s booth to sample its popular year-round oyster stout, its seasonal tropical dark sour and a limited edition sour brown ale that’s normally only sold at the brewery. 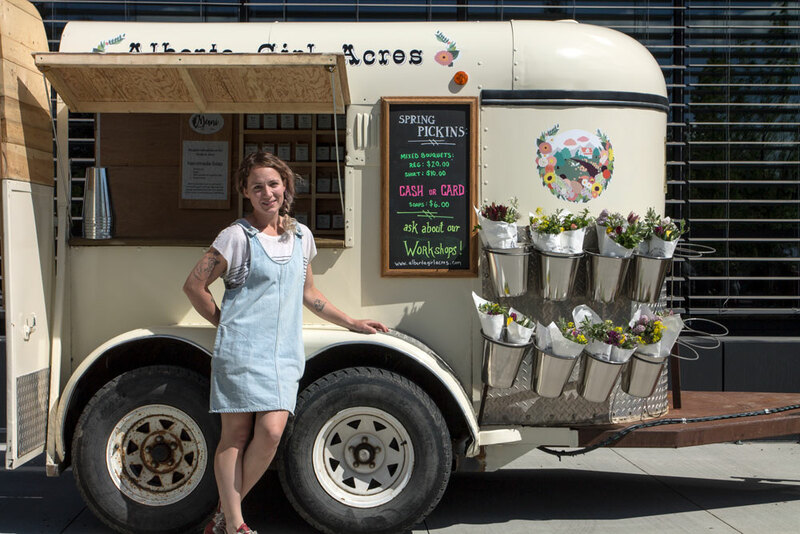 Last summer, Alberta Girl Acres owner Sarah Adams quit her job in Calgary and bought a farm near Vulcan that she turned into a flower farm. The market is her trailer-turned-shop‘s current home for the season. 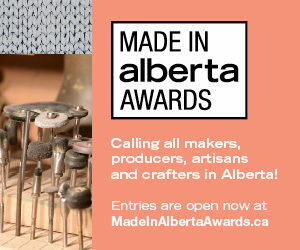 You can buy Alberta-grown bouquets ($10 to $20) as well as vegan Mani soaps handmade by her mom ($8). 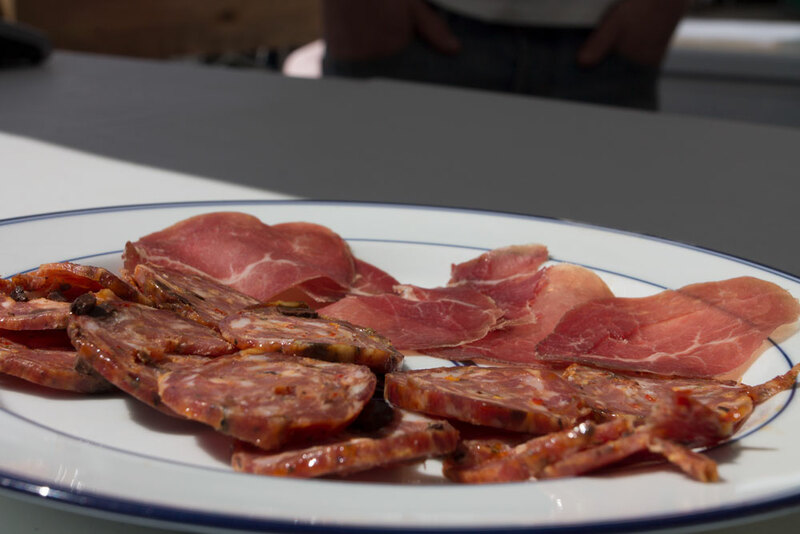 Build your own charcuterie board at home with meats from family-run Pioneer Charcuterie. One of the owners works at Empire Provisions where his bosses let him make his own cured meats and sausages after hours. They hope to open their own storefront in the fall. Try the bresaola ($7.50) and the spicy Five Amigos ($9 to $18). 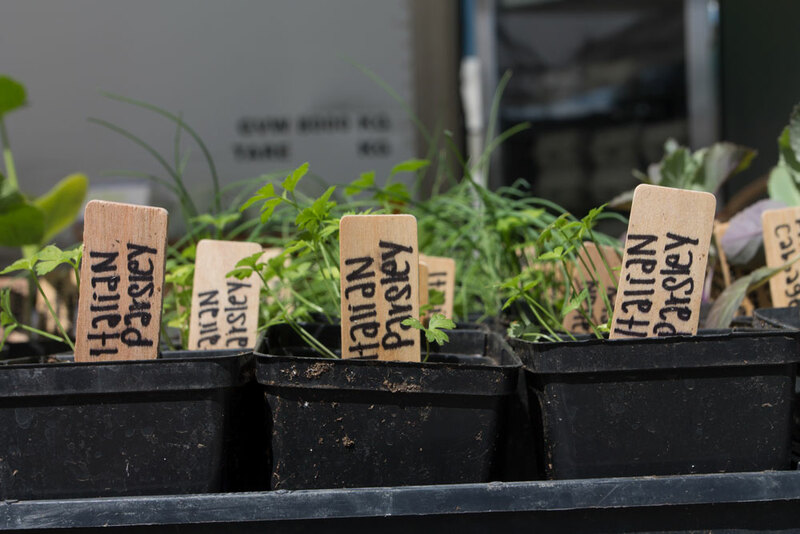 Get fresh herbs such as parsley and basil for just $3 from Blue Mountain Biodynamic Farms, Alberta’s only certified organic and biodynamic farm located in the foothills. This is the only farmers’ market where you can buy these products. 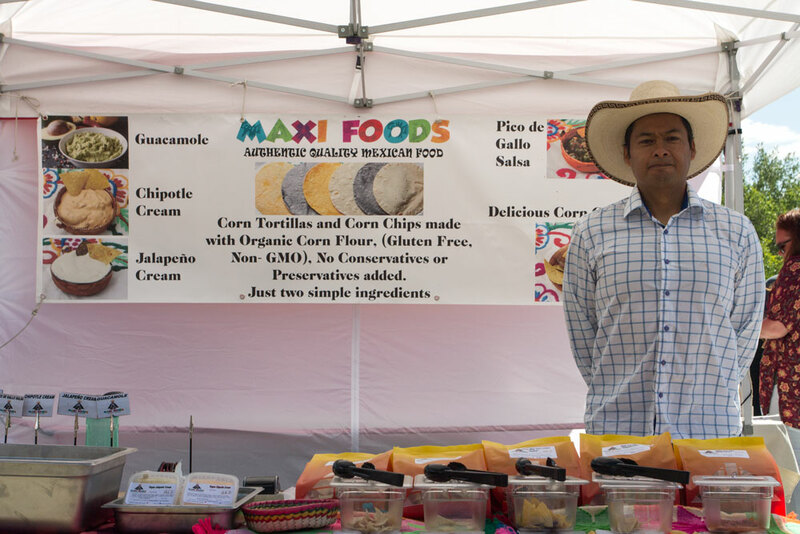 Mexico-born owner Vladimir Gonzales makes gluten-free tortillas ($5 to $11) and tortilla chips ($7), as well as fresh salsas, guacamole and vegan jalapeo and chipotle cream ($8 to $10). Make Maxi Foods your first stop as the tortillas sell out quickly. 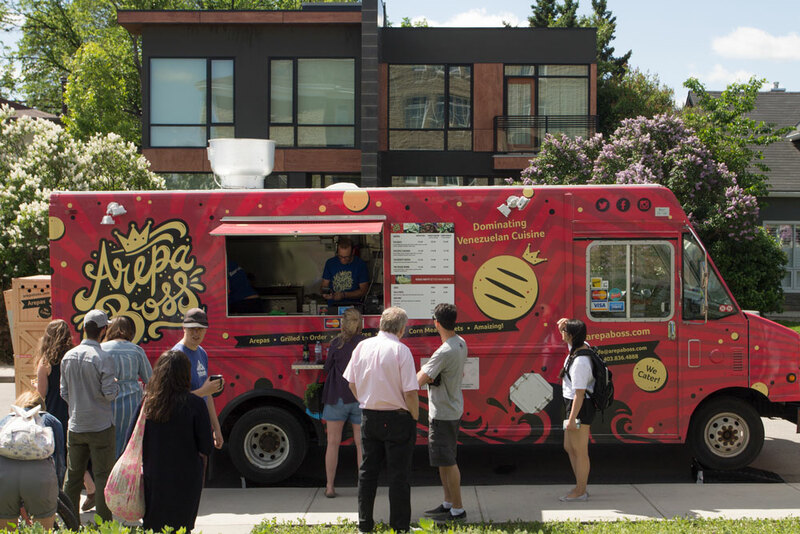 Stop for a lunch break at the Arepa Boss food truck. The Venezuelan street food falls somewhere between a pita and a taco and ingredients include black beans and shredded beef ($3 to $13). 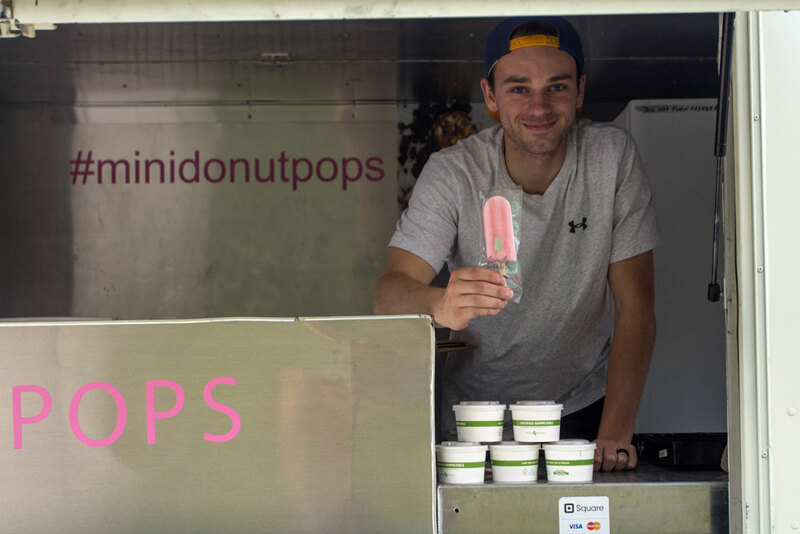 Cool off with a gourmet popsicle from the Family Freezed truck. Flavours include mini donut, aloe vera and root beer ($5).